In KL, you may heard there are plenty of bars serving beers and wines lately. But you hardly heard about a place dedicated for Single Malt and High End booze. Some of the names also I never heard of it but I can tell you those were the bomb. A sip down will make you fly to heaven. The robust taste and the aged whiskeys are to die for. 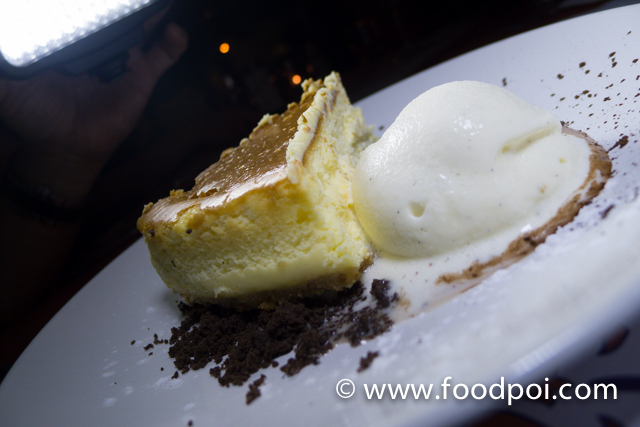 The place were located right in the middle of Changkat Bukit Bintang where all the pubs and restaurants reside. Among the famous one like Elcerdo, Dining in the dark and some others are under the same management. 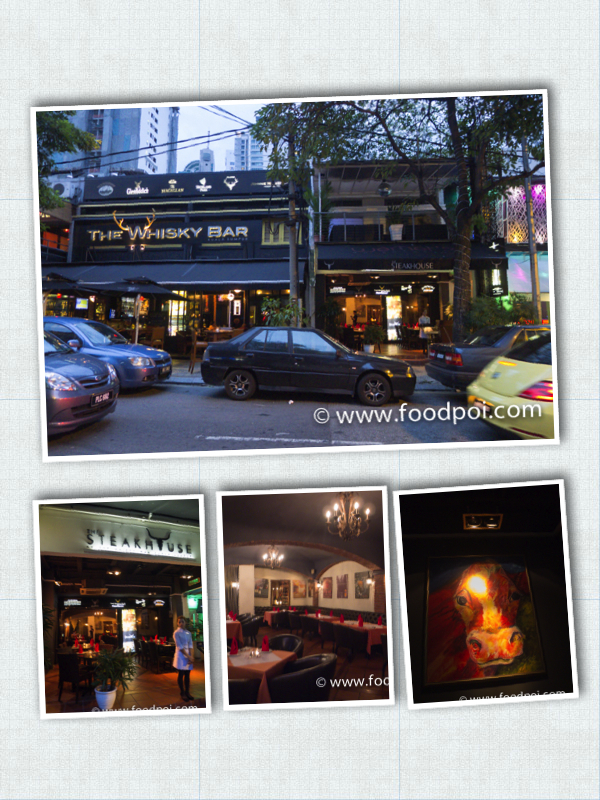 The setup of the Whiskey bar and KL Steakhouse are more into old time English dining room setup with dim ambiance. The menu of this restaurant are simple and can be seen from a 2 page double sided menus. 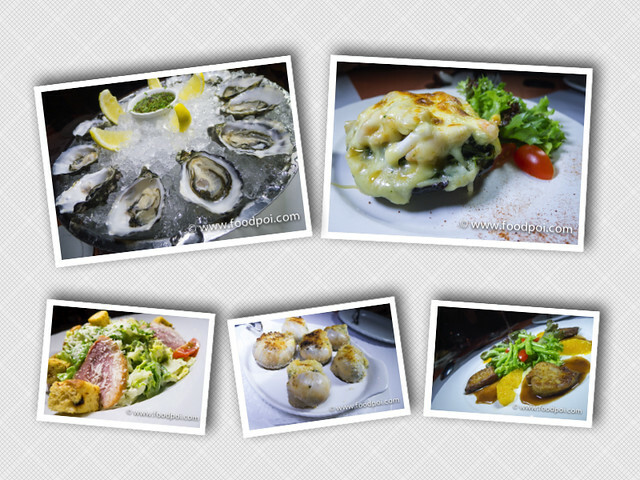 They are confident with their range of foods which best to go alone with their drinks menu which is thicker than the food ones. The bar tender here are pretty skilful which his cocktails are tasty. 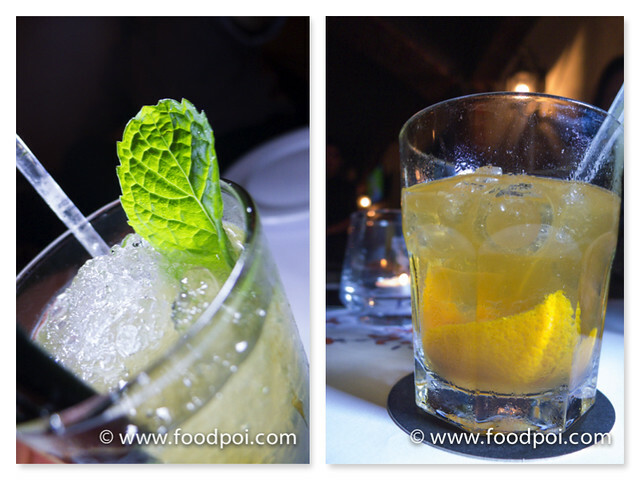 I started off with a Mojito and at the same time was introduced with Whiskey sour which is a good digestive after a big meal. 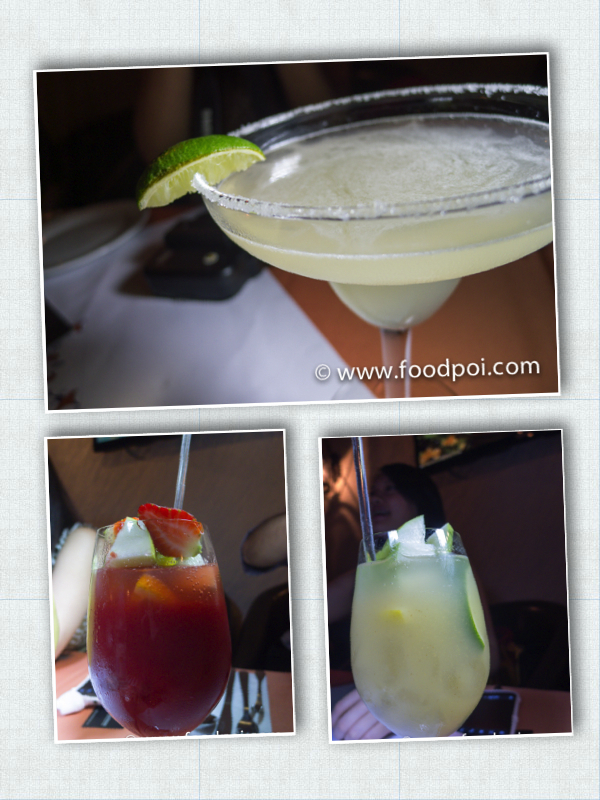 The margarita, red and white sangria are the best I taste so far from bars. They are using fresh juice rather than boxed juices hence it taste different and so refreshing even though with alcohol in it. 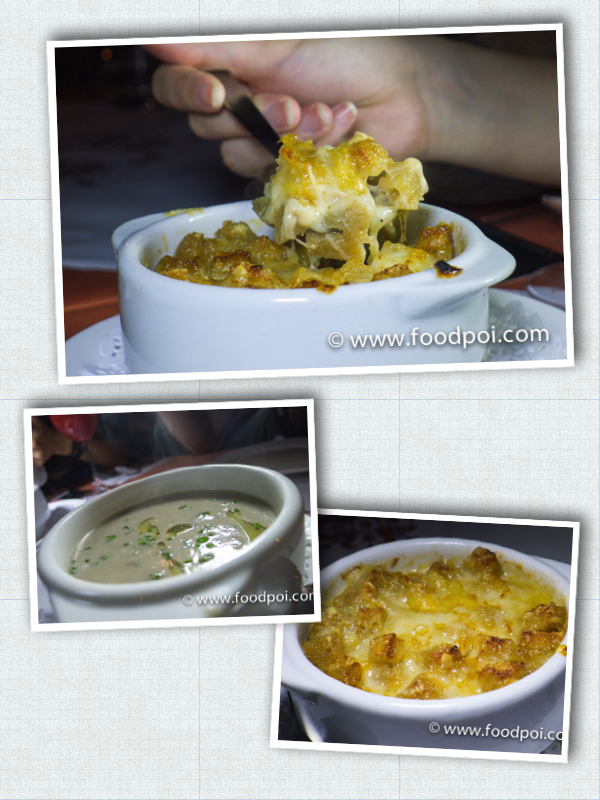 On the top right we are having a portobello mushroom where it came with melted mozzarella and prawns in it. The combination may sound odd but I find it is OK and different from other chef’s creation where normally just plain herbs and garlic mix. Portobello mushroom are priced at RM26 per piece which I find it reasonable since it come with a big size mushroom and prawns. 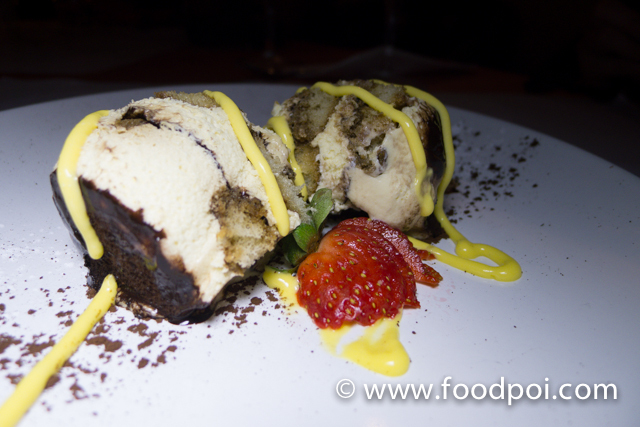 This is a must order at KL Steakhouse. 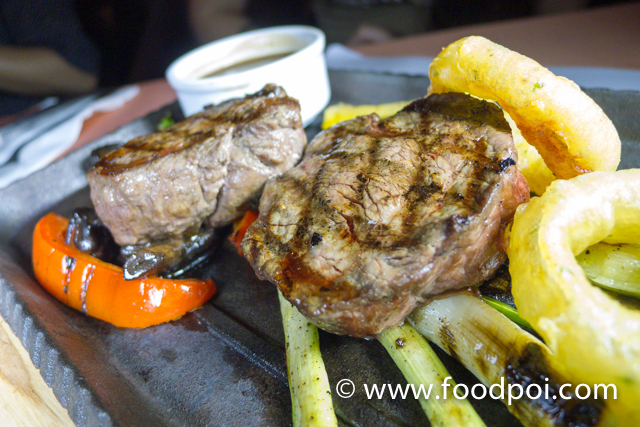 The beef stripes are tender and paired with potato rosti laden with mushroom sauce are so tasty. 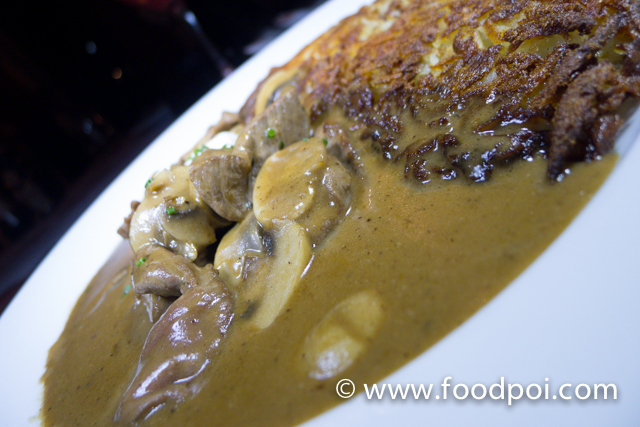 The potato rosti still has a slight crispy edge and the mushroom sauce are so good till we clear the plate in a jiffy. It is best enjoyed while it is still hot. The ribs were lightly marinated and then put to grill together with BBQ sauce. 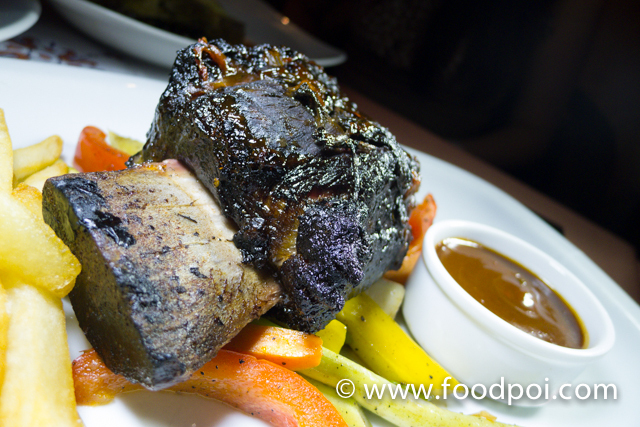 It may look like the surface is burnt but look at the meat …… it is still moist and juicy. Not over cook. 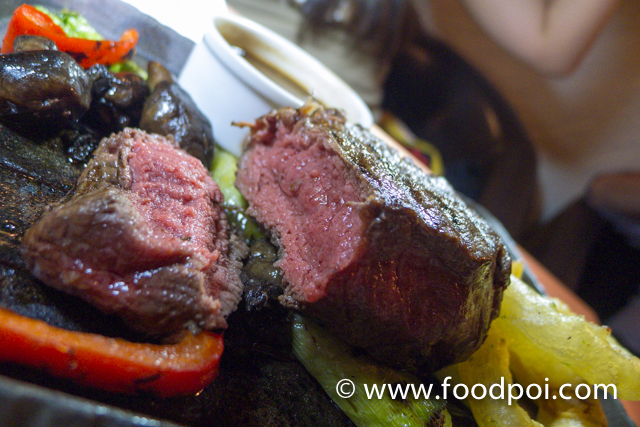 The black burnt look is because of BBQ sauce contain soya sauce that caramelised when grilled. 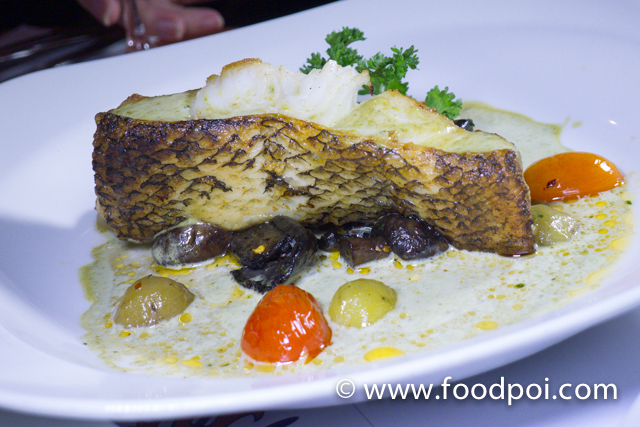 Thick black cod fish fillet served with parsley, potato, mushroom and creamy wasabi pesto sauce. Cod fish can’t go wrong. It just the matter of how the chef dress it up. In this case the chef go with wasabi pesto style which you see fresh fish are best served simple with wasabi dips in Japanese way. I guess the chef got the idea from there and made the sauce. 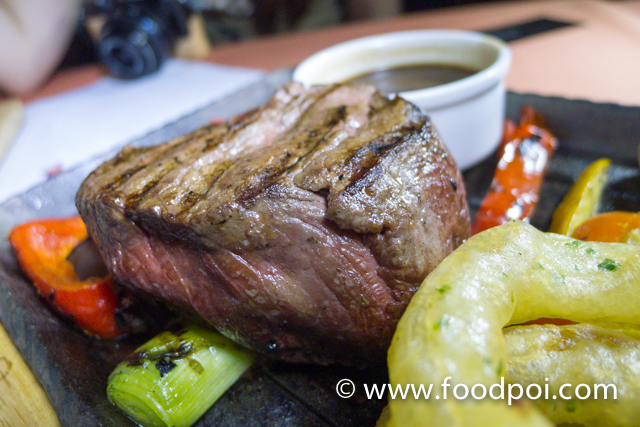 A medallion shaped cut beef and then charcoal grilled then place on hot plates upon serving to the customer. You may notice from the photos, the meat are not directly sitting on the hot plate where it will over cook it. The raw vege is the one that being cooked and the medallion and steak are being kept warm by it. The chef really know how to deal with his steaks. The medium is really up to its standard and the pinkish color shown after we cut the steak. When you press it, it still has some juice flow out of it. It is best to go without any sauce if you are a true steak lover. Just lightly salted and put to charcoal grill are the perfect way to treat this piece of gorgeous black Angus. For those who can’t leave without the sauce, here they have 5 types of sauce. 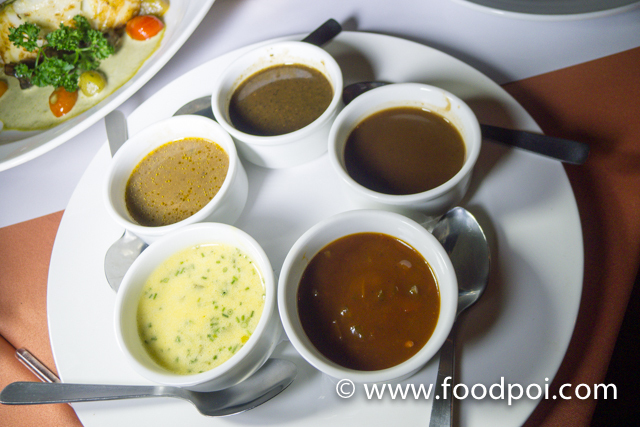 We start of with the milky color sauce which is the béarnaise, red wine reduction, black pepper, bbq and mushroom. 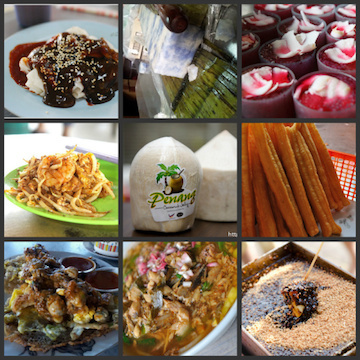 You can choose one of this upon placing the order. 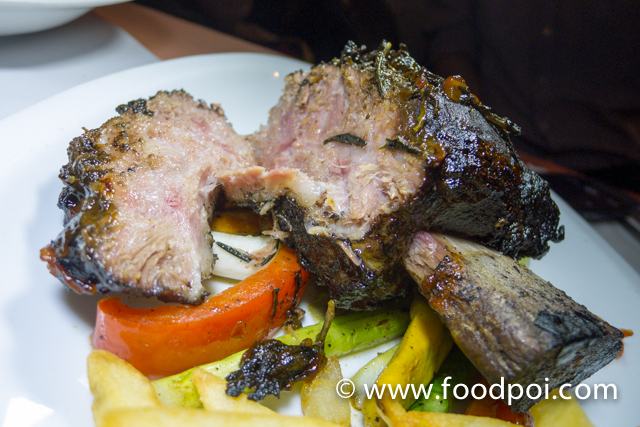 With such a good steak on the table, you can either opt for the wines or whiskeys. Japanese Tasting Set which consist 4 different years whiskey on your tasting tray. 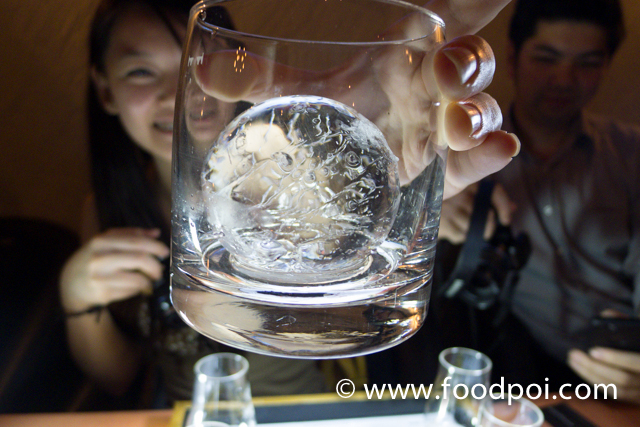 Each were explained on its characteristic and tasting method. Mind you that these whiskeys are top grade whiskeys and not the el cheapo type which you mix with Coke. The whiskey that shown on the photo were the Japanese Suntory distillery’s famous Yamazaki, Hibiki and Hakushu ranging from 18 to 22 years. The globe ice is hard to find in any other pubs in town. Only whiskey professionals do serve this with their whiskey which we normally called it on the rock. I usually go on the rock with my whiskey without any mix. Not even with mineral water. I just love to enjoy them as it is. 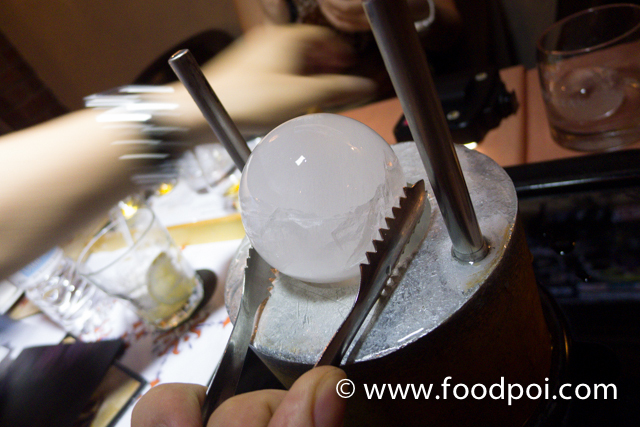 We were lucky to be shown the making of the globe ice which I find pretty cool. We thought the bar tender is so free to carve every single one for their customer. So they show us how they did it. If you wanna know, go pay them a visit. They are glad to show you when you order a whiskey pour or tasting set. You see, we can’t afford the whole bottle of these high end whiskey. 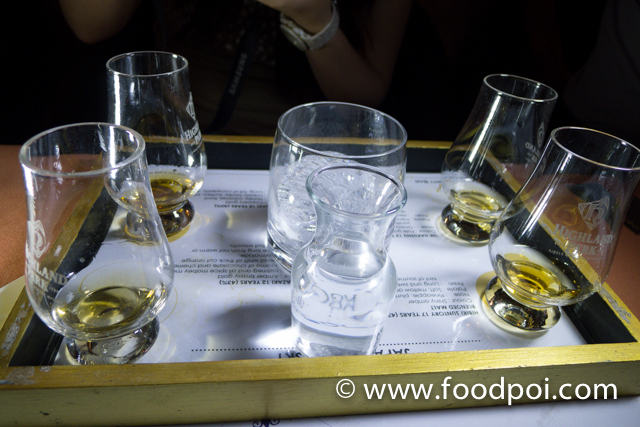 I am glad that The Whiskey Bar in KL have a tasting set for all these. Not everyone love the robust taste of the whiskeys. Just go and try all the years range and then later on only order the one you like. Straight jump in to the bottles without tasting them before will either hate it or like it. Look, I don’t talk much about the dessert. 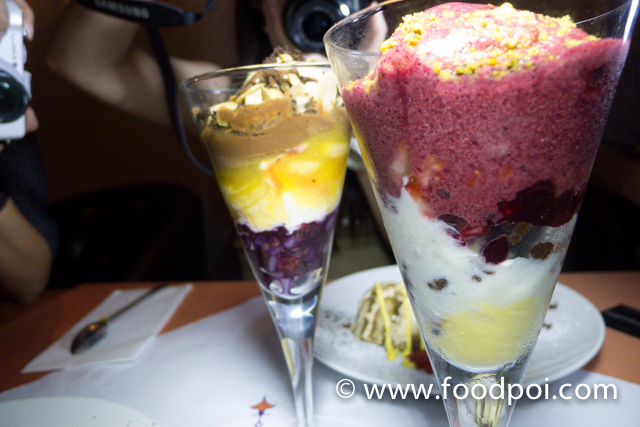 But I can tell you after the review, I went back for the dessert again after having a dinner at Jalan Alor. Their ice cream were made on the spot upon order. They have a huge ice cream maker in the restaurant’s kitchen. All of them taste completely on a different level that will make you want more. To find out more why don’t you pay them a visit? It is a nice place to chill out and chit chat after the dinner.